If you ask any home security expert the vast majority of them would agree that leaving lights on light timers is good when you go away. The locksmith of course agrees on this as well and would advice it to anyone that is planning to spend time away. In placement and setting the timers we would recommend just to mimic your own behaviour in the evening, as so there is no chance to the look from the exterior in your patters. Of course it’s not an exact science, but you can always test run it whilst you are in the house. There are a few different types of timers, and although they don’t differ majorly there are some slight differences in them which may affect your own choice and preference. 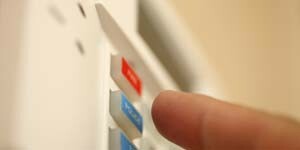 And we would like to also give a reminder to that although cleverly placed light timers in the house provides good protection and acts as an efficient deterring factor for potential intruders, it is no replacement for a proper home alarm system which if you ask us about. We are more than happy to provide you with information and advice on. 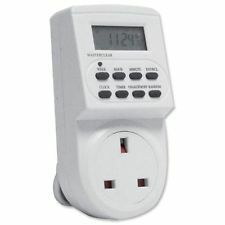 The most commonly used timer which in practice is the type that you just place between the light and your socket at home. They are easy to set, and most commonly very affordable in price. There are of course some digital versions, often with a display which are commonly used as well, and when it comes to what choice between the two is the better. We don’t have a strong opinion, as they functionality is the same, and it’s more a matter of personal preference. For our locksmiths this type of timer is of preference, a timer which is hooked up to the mains, controlled by a digital display. 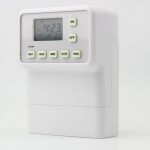 These timers also come with utility for convenience in your day to day life as well as most commonly offer good flexible programming, meaning that dynamic schemes can be set, which are more changing in time, and therefore acts as a better mimic of your being at home. The biggest issue that we see with this type of timer is of course the installation process, since it’s hooked up to the main switch itself, it requires that the switch itself is rewired. This takes some time and expertise, or a handy man for installation. One more thing that we would like to point out, is that these type of switches often don’t have the utility to use LED lights or energy saving bulbs. 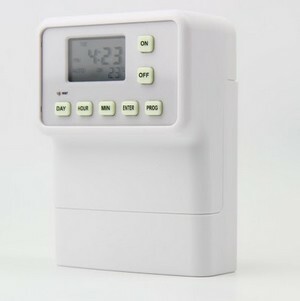 Generally this type of timer will also come with a slightly higher price tag, however still very affordable and something that we highly recommend. With countless number cases where the victims of home intrusion have made statements along the lines of “I was aware of the risk, but I never thought it would happen to me”, we urge people to ensure that they keep good security at home and at work. We are of course not out to scare anyone or to promote irrational paranoia on the subject. However there are greater risk factors of falling victim to burglary and theft today, and ensuring that some simple small security measures are put into place is also much simpler than one may initially imagine. 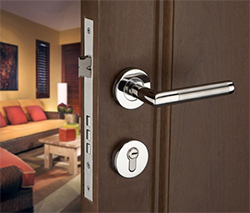 Your locksmith service are of course happy to aid you if you are interested in finding out more with regards to the specific risks and weak points of your property, but as a general there are many things which are easy to do which will greatly reduce the risk of your home being made a target. Ensuring that your locks are up to date and of the anti-snap, anti-bump and anti-pick kind which will stop the vast majority of attacks is of course the first thing, and something that your locksmith service can help you get installed. Good lights for your outdoor areas, and ensuring that there are no easy entry points to your home where a person is shaded from view whilst for instance climbing in and out of a window. And on that point, we would also like to place down that not of reminder to always close and lock your doors and windows when you are not attending. For more great tips and to get the security you need in place, call and speak to your dedicated locksmith today. 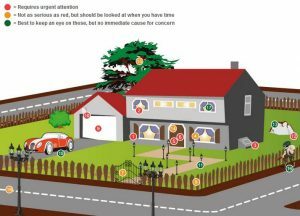 The absolute best way to secure your home is to ensure that you have the assistance of a trained specialist at hand, someone who can help you look over your area, your locks and your security features to ensure there is no loopholes that can be used by burglars or thieves looking to get in. If you are one of the many how have yet to install a security system at home, make sure you get into contact with a swift locksmith who knows their way around both the area and the security industry market. This way you will always have the best high security products, the best prices, as well as the skill to ensure that your security investment is placed where it does the most good. With practical application your locksmith will always see things from your perspective, and with a range of affordable and highly secure alarm and notification systems in stock, your new security solution can be up and running as soon as today. All you need to do is lift that telephone and press that call button. Beyond help with your security features and alarm systems, precision installation and repair work is done to the highest standard on all locks. This includes for your front door, your back entrances, your window locks, your garden structure locks and much more. Get in touch with your trusted and swift locksmith at your next convenience to find out more, or if your need is direct you can call the emergency lockout service at any time. Your great locksmiths are here all hour for your convenience and for your security. The importance of ensuring your locks are functional and that the security which they provide is kept to the highest level of course goes without stating. The guys and girls under our roof would like to give a gentle reminder of how to ensure that your locks are always kept in the best possible way, minimising wear and tear, ensuring that your lock lasts for years to come. The first thing to make sure is that the installation of the lock is properly done, if you are in need of help for your lock installation please feel free to get in touch with your locksmith at any time. We can arrange for a quick and easy lock installation at a time which goes well with your schedule, meaning that your new lock installation will be done to perfection and at your convenience. A poorly installed lock will compromise both the security it provides as well as increase the risk of the lock malfunctioning after just a short period of usage. So ensure that your locks are installed by a locksmith expert, and if you ever need to get a hold of one fast, get in touch with us! The second thing that your locksmith service would like to remind you of, is the keys. When a new lock is installed, you usually get a set of keys to go with it, the original keys for any lock are usually up to the same standard as the lock. So ensure that you get locks manufactured by known and trusted brands. This is of course also something that we can help you with. Should you have spare keys cut for your lock, it’s important to keep extra vigilant, and choose a good precision key cutter for the job. This is something which becomes even more important if the cut key will be used on a regular basis. A locksmith expert key cutter here will be able to help you with any spare keys that you need cutting, fast easy and always to perfection. Did you ever hear the saying many little streams? Or perhaps claims such as the sum is greater than its parts, and so on? Well following that line the specialists here would like to bring some thought to you which might inspire you to strengthen your security habits and security features at home simply due to the fact that in many areas and ways it’s much easier done than what is commonly believed. By bringing security thinking into your daily life you will be able to rid yourself of bad habits such forgetting to close doors as well as avoid being careless with your keys. But further than that you might also start to find your own ideas on how to improve on your security situation, by small changes, outdoors lighting, additions to your garden, or perhaps clearing of your garden. By thinking about your home security in your daily life your swift locksmith is convinced that you will be able to improve the situation greatly. If you are unsure of where to start, perhaps you are just beginning to think along more secure lines, or perhaps it’s a newfound interest or a realisation which has brought you here. Regardless of your circumstances, the swift locksmith service are here to help, and you can call at any time to find the assistance you need, from daily service and product needs to security inspection and help with the improvement of your security situation and security habits. Call on the friendly workmen here at any time you need us, and if that time is now, we are here, ready and waiting. 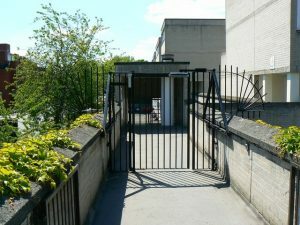 A feature which many homes and businesses choose to incorporate in their security solution is security gates for the property. This is with good reason, and if you have your property walled off, this is a strong deterrent against burglary. With indications to the good security situation that you are keeping, any burglar will more unlikely to choose your property as a target when presented with good quality security gates which are difficult to bypass without specialist skills and tools. If you are interested to find out more about how you can protect your land better with the installation of a security gate, call the great and swift locksmith now and we’ll be happy to help you find your way among all the different options available to you. We can help you choose the right type for your situation and of course the amicable swift locksmith, are always more than glad to assist you with your needs. Any other service or emergency lockout need you have, give us a call right away, we are ready and will be on the road, on our way to your location within minutes of your call should your case be urgent. All other jobs can be done by appointment and at a time that suits you. For a great swift locksmith, at any time, safe-keep our number and you will never be stuck out in the storm.